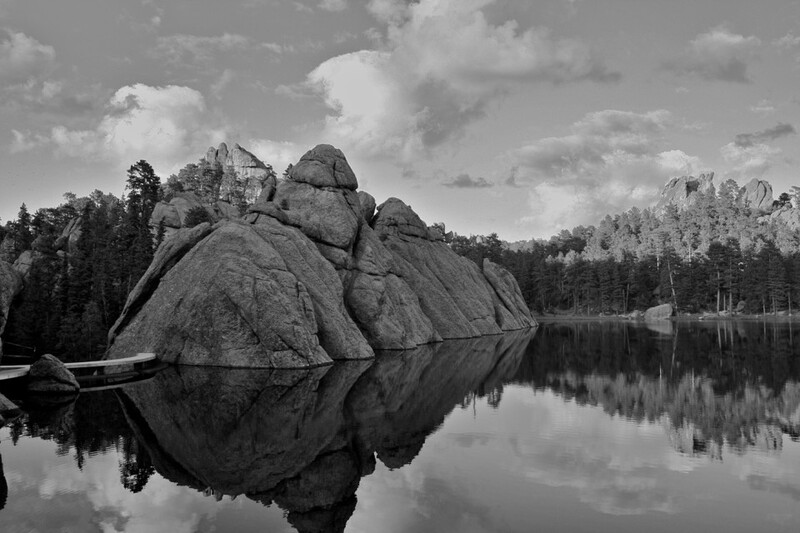 This black and white digital photo was taken on a road trip through the Black Hills. I saw this rock formation reflected in the water and it had a certain aura about it that made it too perfect not to capture. Exploring the area I also found that the area on the left is a sort of dam, making the lake man-made in some respect. This relation between the human and nature was something that has always been of interest to me, and I tried to capture it in this photo.